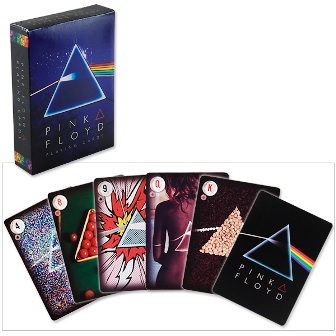 This Pink Floyd playing card deck contains 52 playing cards with a variety of images from the series on each card.This official poker-size deck features 52 classic pieces of The Dark Side of the Moon album art! A must for every fan of Pink Floyd! Officially licensed Pink Floyd merchandise.